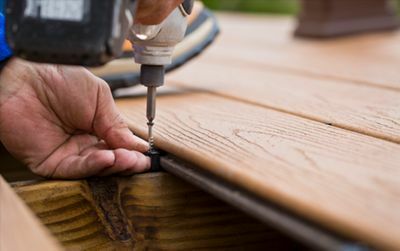 First things first: Plan you deck size around how you’ll use it. Think chairs, grills, standing room and beyond. 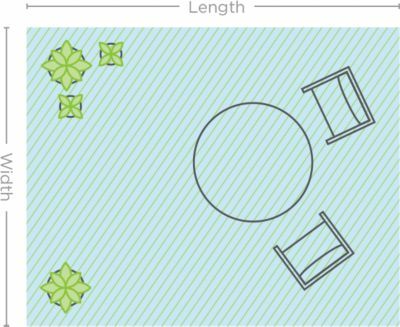 Measure your dimensions, and stage your furniture to determine approximately how much room you’ll need. 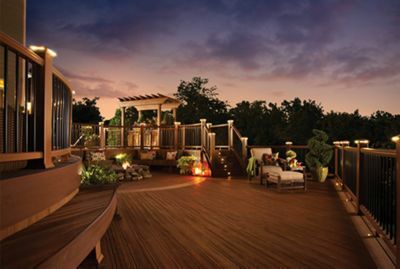 Decking and railing is the place to start. Find your perfect pairing, and build your deck with those colours in mind. Better yet: Order a board sample for a closer look. Trex Fascia is the low-maintenance, high-performance, go-with-anything complement to your colours. Trex Outdoor Lighting gives you a modern, sophisticated look that stretches lazy days into cozy nights. to help you collect and fulfill a materials list. to get ahead of the prep work. Our installation guide can help you DIY it. Find yours below, or speak with a local builder about installing it for you.